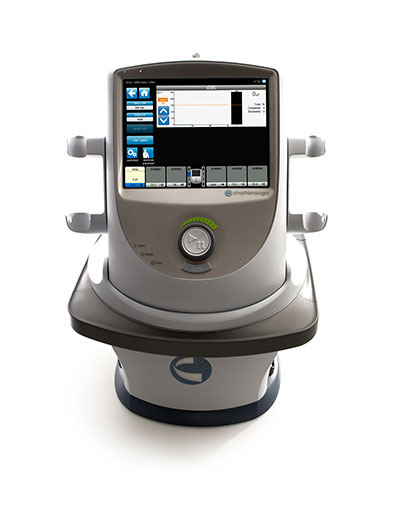 The Vectra Neo's intelligent design is clever in its features, usability and clinical technology. 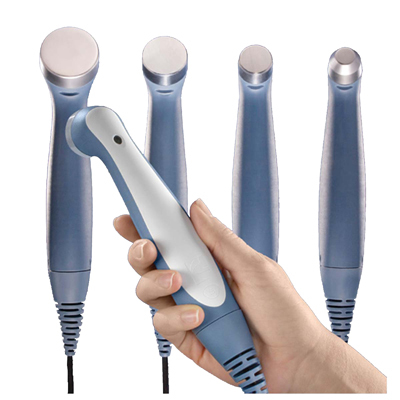 It offers multimodality versatility with 5 plug-and-play modules, offering two and four channel Electrical Stimulation, Ultrasound, EMG Biofeedback, EMG-Triggered Stimulation options. Allowing the clinician to provide unparalleled utilization of the powerful and thoughtful design, empowering them to provide patients with a comprehensive level of rehabilitation. Vectra™ Neo's intelligent design offers multimodality versatility with 5 plug-and-play modules, offering two and four channel Electrical Stimulation, Ultrasound, EMG Biofeedback, EMG-Triggered Stimulation options. It features a simple to use interactive Touchscreen, intuitive Graphic User Interface and a Clinical Protocol Setup™ (CPS). The CPS enhances usability by leading users through the functions of the device and each therapy accessing up to 100 protocol options. Additionally, Neo offers a stunning anatomic reference library that illustrates an array of pathologies, making it easier for clinicians to communicate with patients about their condition and educate them on further treatment options. Every element of the Vectra Neo™ has been expertly crafted, allowing the clinician to provide unparalleled utilization of the powerful and thoughtful design, empowering them to provide patients with a comprehensive level of rehabilitation. The unit has an integrated base with discreet, strong handles for carrying. Each unit can also be custom configured for the user’s specific clinical needs and can adapt to future needs by adding additional modules. 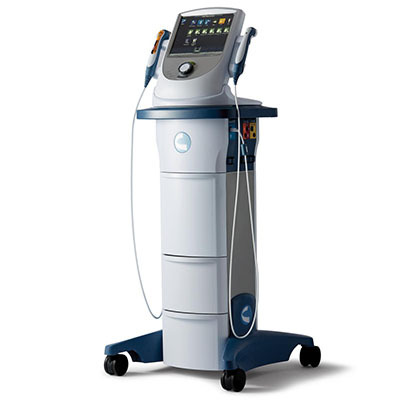 The Vectra™ Neo Module Ultrasound adds ultrasound technology into a single, streamlined device. 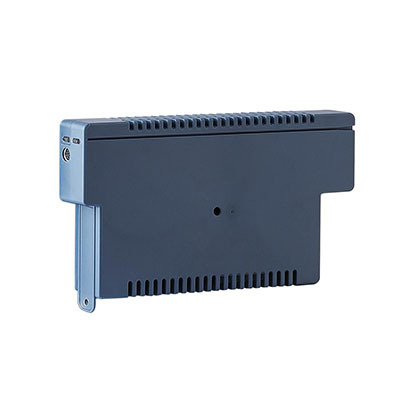 This plug-and-play module can be easily installed in no time, without worrying about configuration and other settings. Dimensions: 16" x 5" x 8"
The Vectra™ Neo Module Stim Channels 1 & 2 adds electrical stimulation technology into a single, streamlined device. This plug-and-play module can be easily installed in no time, without worrying about configuration and other settings. The Vectra™ Neo Module Stim Channels 3 & 4 combines electrical stimulation technology and EMG Biofeedback into a single, streamlined device. This plug-and-play module can be easily installed in no time, without worrying about configuration and other settings. 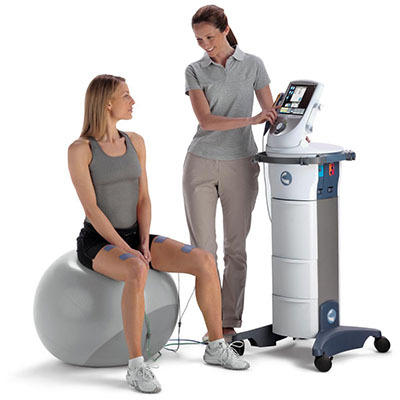 The Vectra™ Neo Module Stim Channels 3 & 4 adds electrical stimulation technology into a single, streamlined device. This plug-and-play module can be easily installed in no time, without worrying about configuration and other settings. 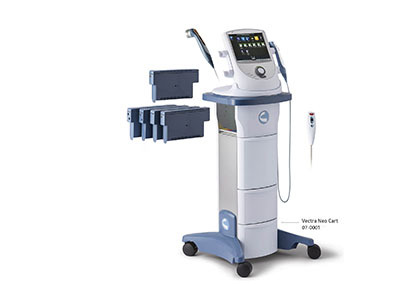 The Vectra™ Neo Cart is an optional high-quality cart for the Vectra™ Neo Unit. It is stable, height-adjustable and can move with ease. It includes three roomy storage drawers with sturdy pull tracks for convenient storage. The Vectra™ Neo Patient Remote is an optional remote for the patient to control the Vectra™ Neo Unit. The Vectra Genisys / Neo Ultrasound Head Applicator are designed to work with the Vectra Genisys / Neo therapy systems. Applicators are available in 1 cm , 2 cm, 5 cm and 10 cm sizes.